Two Chicks On Books: Blog Tour- CROOKED KINGDOM by Leigh Bardugo Featuring Jesper and A Giveaway! 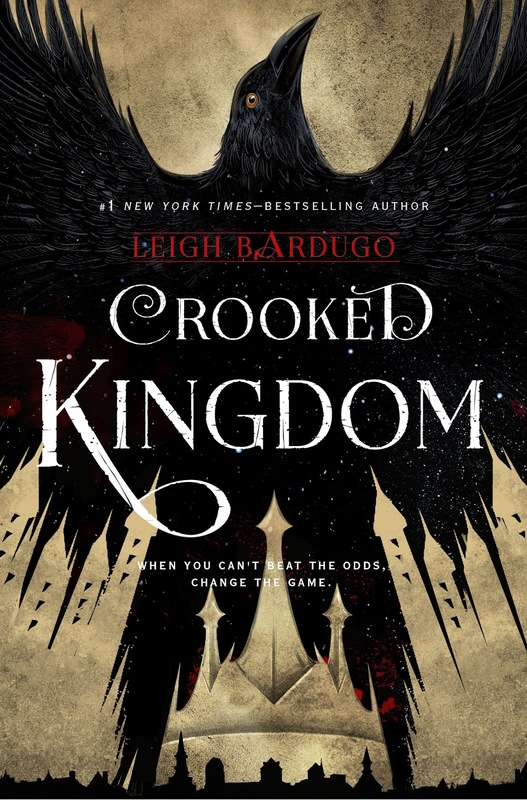 Blog Tour- CROOKED KINGDOM by Leigh Bardugo Featuring Jesper and A Giveaway! Hey All! I'm so happy to be kicking off the CROOKED KINGDOM blog tour! 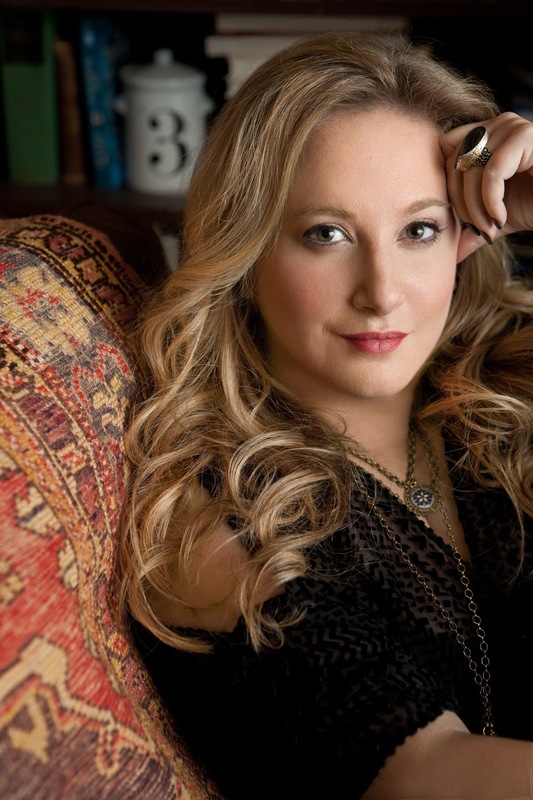 I love Leigh and all of her books! I get to feature Jesper today I love him and that hes completely loyal to his friends and one hell of a sharpshooter! Oh and check below for a special giveaway! Haven't heard of CROOKED KINGDOM? Check it out! And on to Leigh's post! "I think one of my favorite things about working on Crooked Kingdom was getting to know Jesper and his family better. Jesper's childhood and his relationships with his mother and father are so important to the way he views himself and his abilities now. We also get to spend a little time in Novyi Zem in Jesper's flashbacks, and it could not be more different from Ketterdam "
Add Crooked Kingdom to your to-read list on Goodreads. Anyone who comments on all 12 blog tour posts (US and UK) by 11:59 PM EST on Monday, October 3, will be entered into a raffle for a special Grisha Prize Pack! I can't wait for CK, especially now that I know we're going to meet Jesper's family. I'm really looking forward to reading Crooked Kingdom and learning more about Jesper's background story. I'm so excited to hear more about the Crows and Jesper's family! Can't wait for all those flashbacks!!!!! SIX DAYS. SIX DAYS UNTIL CROOKED KINGDOM COME. AH, I'm so excited for Crooked Kingdom! I LOVE Jesper, and I can't wait to hear more about his family. I can't even being to fathom the things that are going to happen in Crooked Kingdom!! Makes me equally excited and nervous. Honestly this is the first book where I could not pick my favorite character. They are all so amazing and if any of them die, I will too. That being said I can't wait to get to know them more and more! This book is gonna kill me! One of the many, many things that I've been looking forward to in Crooked Kingdom is learning more about the characters, especially Jesper! This book is going to be amazing! I've been dying to read Crooked Kingdom since I finished Six of Crows and now it's so close to release I'm freaking out!! I can't wait to learn more about Jesper, his humor was so adorable and lightened the story in some of the more stressful parts which was just awesome. Oh my Gosh I am so Excited for this book and can't wait to learn more on Jesper!!! Really looking forward knowing more about Jesper's past and meeting his family of course. Love the card...King of Hearts!!! Can't wait for this release! So excited for Crooked Kingdom! SoC was easily one of the best books I've read in a long time - I am so eager to see how it all ends!!! And for some reason my name didn't show up - I'm Ashley! i love jesper so muuuuuch!! i've been stalking my amazon for shipping notice of CK. i need it!! So excited about the new book!!! I love Jesper❤️ He's so funny!! jesper honestly is such a gem. i'm more excited about reading his flashbacks than i am about most anything, including breathing. OMG, Jesper, love him! There will be tears if anything happens to him!!!! Bless Jesper, honestly. He's probably one of my favourite characters of ALL time. I love his relationship with Wylan! I really need to read both these books. These Grisha books sound fantastic and a lot of fun! I will kill for that SoC deck, TBH. ;) Perhaps I'll hire the crew to swipe me some. LOL. I'm so excited for Crooked Kingdom! I have not read the Six of Crows yet but have a copy coming. I can't wait to devour it! Jesper is so hilarious, and I hope he and Wylan actually get together in ck!! Jesper provides some necessary comic relief! Inej is still my fave though. Can't wait to see what happens with the Wraith! Just about to start the series because of all the buzz leading up to the bew book and I cant wait to be all caught up! So excited for Crooked Kingdom! Jesper is so funny! Can't wait to find out more about his family and his life before! Jesper flashbacks?!?!? I can't wait! I love Jesper! Can't wait to read more about him and the others in Crooked Kingdom. Cannot wait for Crooked Kingdom! Crows ftw! Jesper, in my opinion, is the shadiest dreg. I feel like I know more about Wylan and he doesn't even have a POV in Six of Crows. Excited to know more !! I really wanna know more about Jesper's family and past. Do they know about his "abilities"? I'm curious. Crooked Kingdom, once you're published, I will find you and I will read you. I just adore Jesper! I cannot wait to get to know his past more in Crooked Kingdom! Omg I love that Jasper card and I can't wait for crooked kingdom! The cards for this duology are so gorgeous. Jesper's character is so interesting I can't wait to find out more about him and the rest of the dregs in CK!!!! Jesper is my favorite character! I'm simultaneously excited and terrified for this book, but I can't wait to learn more about Jesper's background! I am so bloody eager for Crooked Kingdom. I utterly loved Six of Crows!! Jesper is awesome! I liked his attitude so much! I can't wait for the next book! I think Jesper is a bit less memorable than the other characters in the book. I'm curious to learn more about him in the next book. I loved getting the tidbits of Jesper's past life in SoC. Seeing that he is one of my favorite characters, I hope we get more of him in Crooked Kingdom. I hope we get to see some of his homeland, that would be so cool. I'm interested to find out more about Jesper's backstory! I don't feel like we got to know all that much about where he comes from in the first book. love Jesper flirting with Wylan. It’s so cute! I hope we get more in dept with his character in the next book! Looking forward to learning more about Jesper in Crooked Kingdom, can't wait for the books release. Jesper reminds me of Leo from Heroes of Olympus, sometimes. They're both giddy when it comes to the things they love, and they're just brilliant at it. Though, there are some downsides to their attitude.. winkwink Jesper's gambling addiction.. I loved Jesper in Six of Crows so much, I can't wait to learn more about his backstory in Crooked Kingdom! ~ Danielle D.
Yes, Jesper!! I'm so excited to learn more about him. When you first meet him in Six of Crows, I would have never guessed he's a farm boy. I need to know more! I really hope that Jesper does more things as a Grisha in CK! I reaaalllyyy want to learn more about Jesper's past! I feel like he is such a mysterious character!! Can't wait to read Crooked Kingdom! Absolutely loved Jesper and how he fantastic he is. I received my first copy of this in the mail today, and my signed copy should be here by next week. I can't wait to dive in. Crooked Kingdom sounds so interesting! I will definitely read it. I feel like we didn't get a whole lot of Jesper's back story in SoC, so I'm excited to see more of it in CK! Jesper reminds me in a way of all of the impulsive, physical, easily distracted boys I've taught over the years. He's very believable. IIt's finally here! I'm excited/scared! Jesper is so precious, and reading Crooked Kingdom is reminding me of why I love him so much! I'm about a quarter of the way through Crooked Kingdom and I'm loving it!! Jesper is an amazing character! I'm so glad we find out more about Jesper and his backstory! 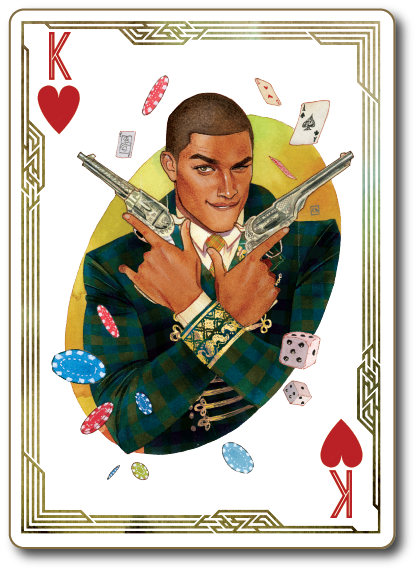 I loved jesper in six of crows but when we got to find out so many more in depth details about jesper and his last I was so happy and loved him even more, he really is such a great character to read about ! Ahh, I loved Jesper and Wylan in the first book and I can't wait to see them in CK! The characters were so complex and compelling! I can't wait to see how they develop! Gooorgeous blog tour post Jaime :D Thank you for sharing. <3 Hugs. I aaadore these books. Though I haven't been brave enough to read Crooked Kingdom yet, lol. Soon, though :D And eee, Jesper is so cute. I cannot wait to read more about him :) He's awesome.